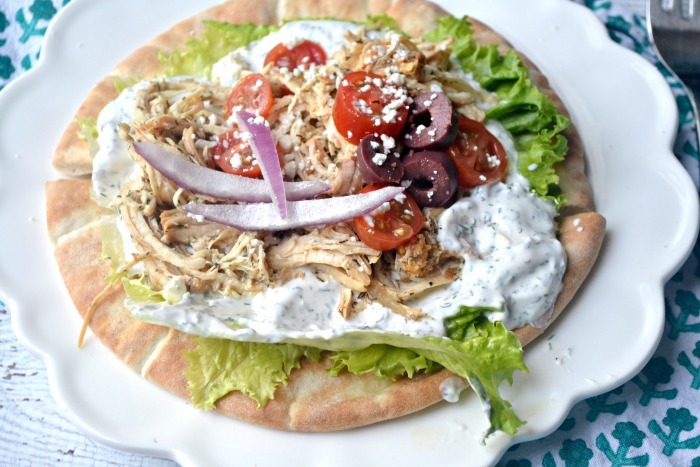 My slow cooker chicken gyros have become my ultimate go-to recipe for when I want to make something for a crowd. You can literally never go wrong. People seem to like them, plus they really are the perfect thing to make for parties. Do you want to know something though? 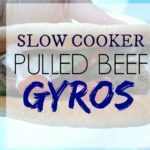 As much as I LOVED my slow cooker chicken gyros. I actually have not made them in my slow cooker in almost a year. Well, actually, I am not using my slow cooker all that much these days. I am not about to throw my slow cookers away though. They make great serving vessels for parties. 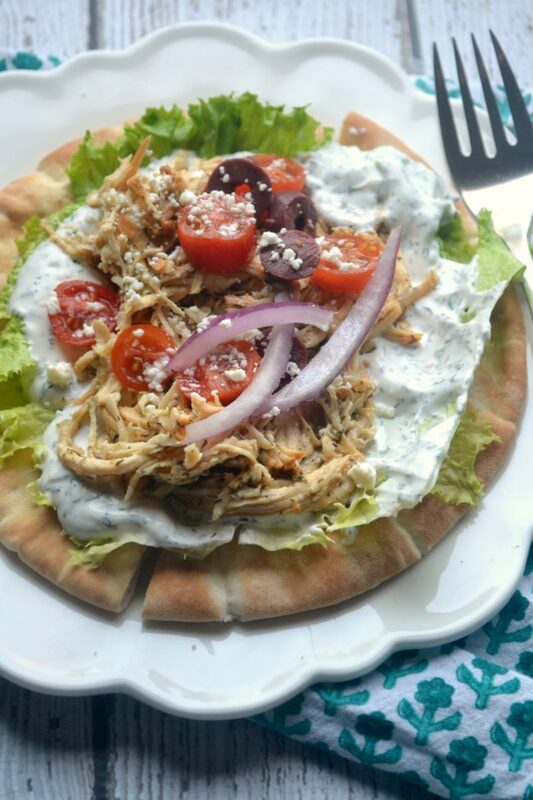 So anyway, since I literally only make my chicken gyros in my Instant Pot, I thought it was about time for me to actually show you how to make them in my Instant Pot! 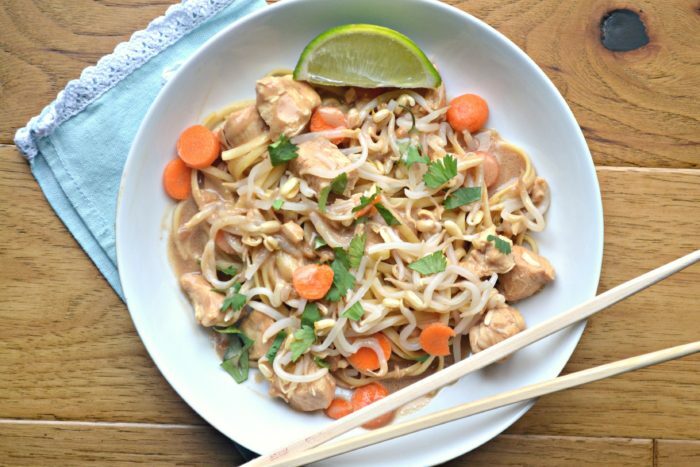 The ingredient list on this is actually the same as my slow cooker version. It’s a super easy recipe too. You just dump the ingredients in the pot and let it do it’s magic! And I made this little video for you! 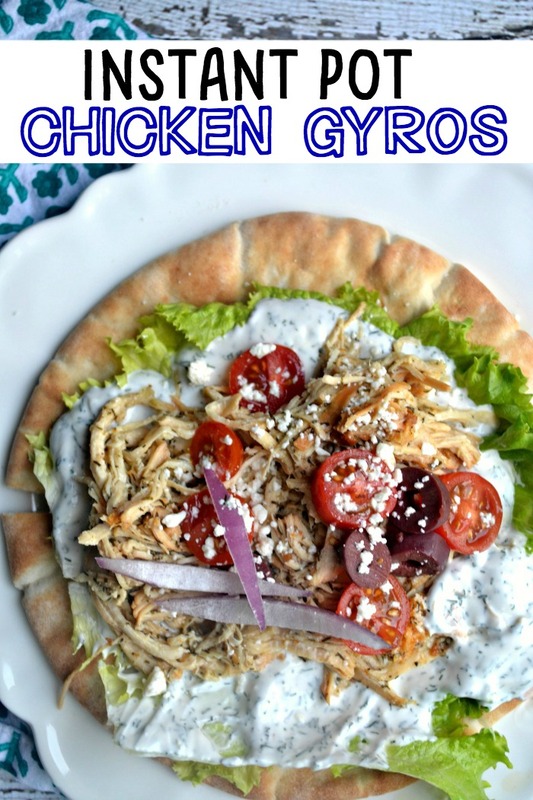 Not only do I love these chicken gyros. I also pretty much love anything that has Tzatziki sauce and kalamata olives on it. So many wonderful flavors, mouthwatering. I also love making this recipe for parties, because it is really something different to make. It is such a different dish than the usual “pulled pork” you see at get-togethers a lot in the Midwest. But at the same time, it is not so different that picky eaters won’t try it. Let naturally release. Shred chicken. If you are not serving the chicken right away, let it marinate in the juices it cooked in. 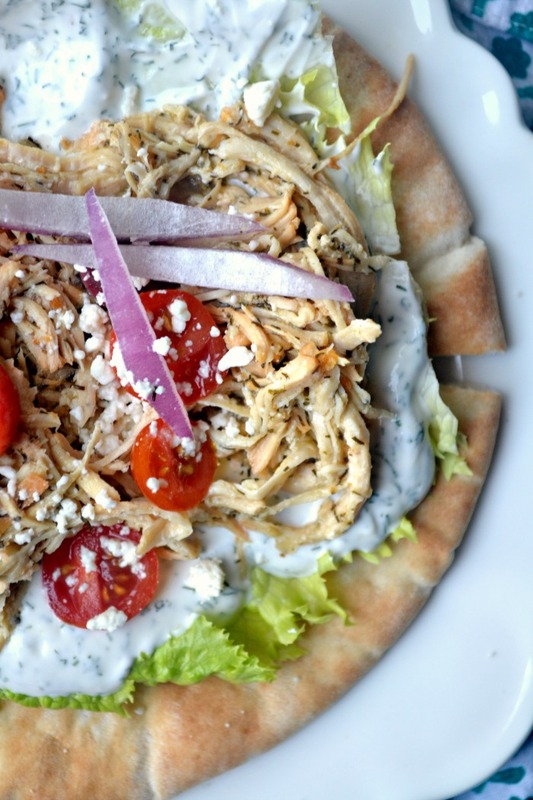 Build your gyro to your personal preference and serve. 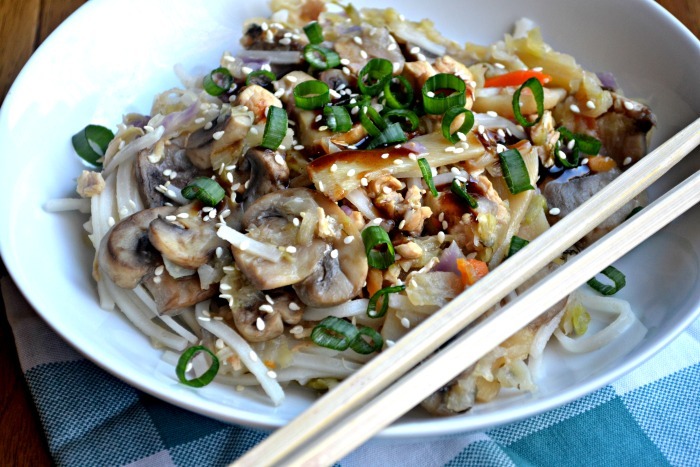 This dish is such a hit whenever I make them! I put together a huge gyro bar for my baby’s baptism last spring, and I just made these a few weeks ago, when we had our small group from church over! 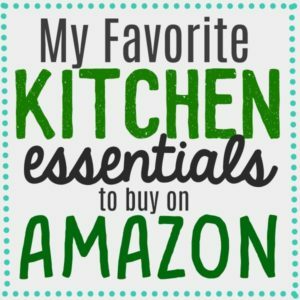 I can’t wait to try these in my Instant Pot! Do you let the pot release on its oWn or manually release the valve when the chicken is done? I have done both. I don’t think it matters here, since the chicken will pull apart no matter what. it goes with the chicken. It makes it super tender! It’s cooking now. Smells good but i’m afraid it’ll burn. We’ll see and I’ll let you know. Followed recipe to the letter. Print button! Please, please, please! Can you triple this recipe for large crowd? If so, how long should you cook? 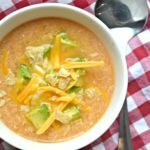 I have made this recipe for a big crowd 2-3 times. I actually just made it in advance three times. Otherwise, your Instant Pot might get too full. 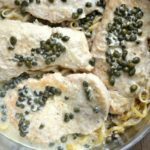 I always make the recipe a day before, then put into a slow cooker for serving the day of. 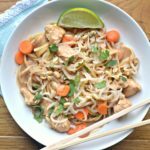 Has anyone tried making this non-dairy? I have made it without the yogurt. It is a little less creamy, but still good. These sound wonderful! I need to make a large amount to feed a crowd while on vacation, and would love to make it ahead of time. Do you think you could make it and freeze it – and then thaw & reheat? or would the yogurt make that a problem? I freeze this recipe all the time! It has always worked for me!